22-year-old, Kelly Staddon, is a full-time judo athlete. She first took up the sport 18 years ago after watching members of her family compete, and since then has invested a lot of time and effort into competing at an international level. Kelly trains as part of the British Judo Programme. She has competed regularly for Team GB as a junior and senior athlete at international events including European and World championships. 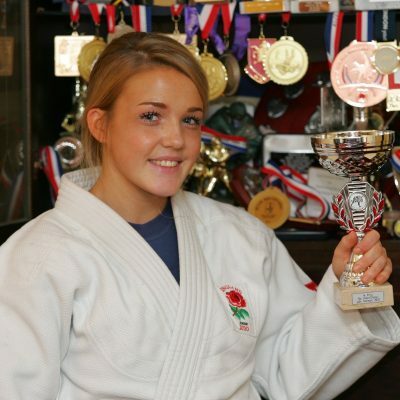 Kelly recently retained her title as u48kg British Senior Judo Champion. She is now aiming to medal on the world stage at senior level, with the ultimate goal of competing at the 2020 Tokyo Olympic Games. Away from her training and competitions, Kelly has set up her own website which advises people on how to improve their wellbeing through healthy eating and exercise. Kelly regularly uses Everyone Active’s Hornchurch Sports Centre in Havering.